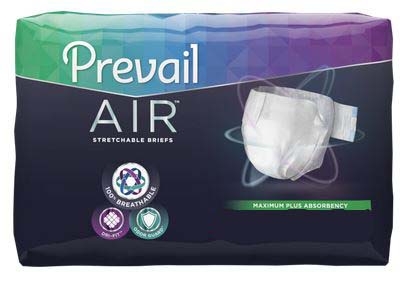 Prevail Air briefs is a new breathable brief featuring the AirMax Layer. It is a completely breathable brief. It helps by decreasing the skin's contact with moisture. The specially formulated breathable material traps wetness inside but allows air, heat and humidity to escape. This allows the skin to breath. It helps maintain normal skin temperature and moisture at the skin's surface. 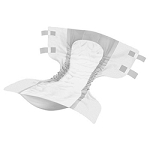 The soft, flexible stretch panels provide a secure fit.